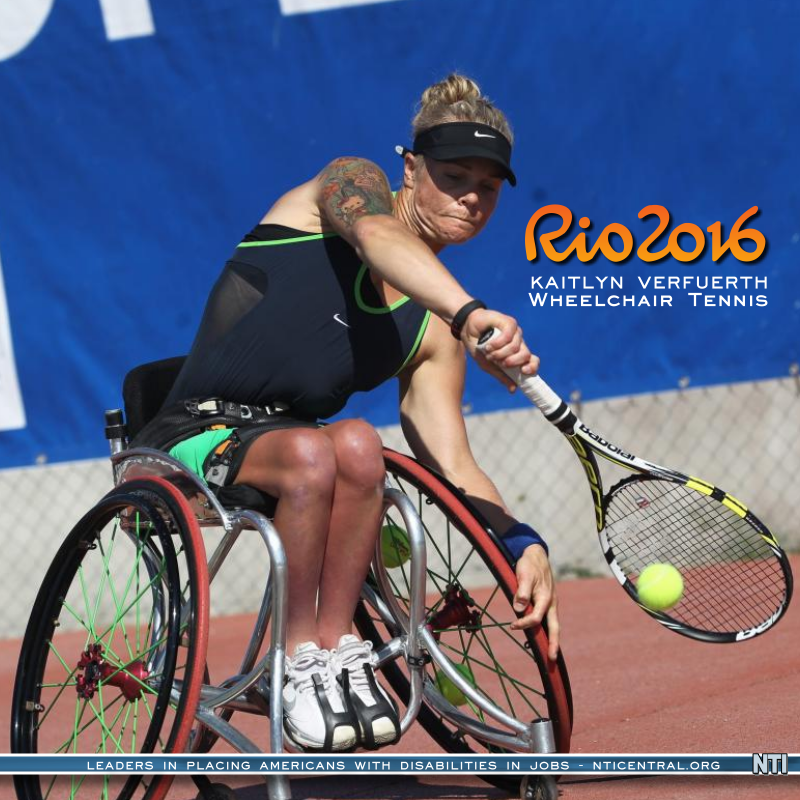 The 2016 Rio Paralympic Games will be the third time wheelchair tennis Paralympian Kaitlyn Verfuerth has competed, but tennis is just a part (albeit a big part) of her life. 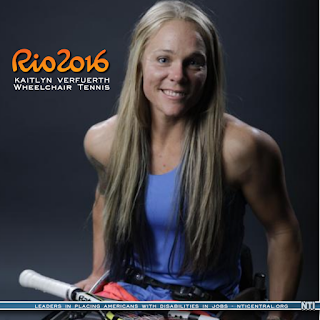 In Rio, Verfuerth competed in doubles wheelchair tennis with Dana Mathewson and will also be competing in singles wheelchair tennis. As a young girl, Verfuerth was riding in a car with her mother (who was driving) and her brother when a 18-wheeler truck hit their car head-on. Her brother walked away with minimal injuries; Verfuerth’s mother was in a wheelchair after the accident for a period of time, but now is able to walk; while Verfuerth developed an L2 incomplete spinal cord injury from the accident. 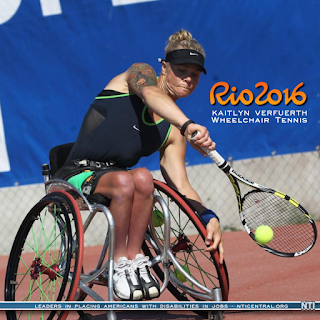 Post-accident, Verfuerth tried out various sports, including wheelchair basketball (which she loved), but she found that her true love and skillset were in wheelchair tennis. In fact, after graduating with an Associate’s from Mt. San Antonio College, she was awarded a scholarship for wheelchair tennis from the University of Arizona. Verfuerth now lives in Flagstaff, AZ with her partner, Greg Guerin, with whom she opened the Flagstaff location of BTO Self-Serve Yogurt. She is also working towards her clinical doctorate degree in audiology.